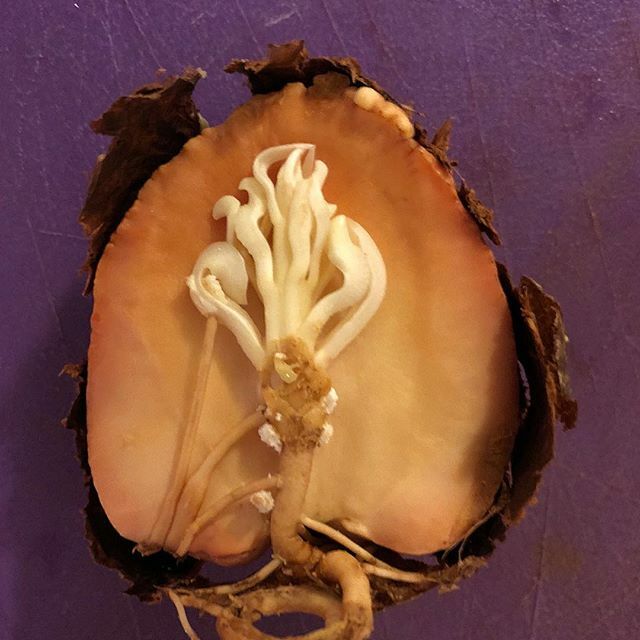 I found this little treasure inside of an avocado seed recently. #NoFilter, just a bit of sharpening. Isn’t it beautiful? I guess this is what happens when it starts to sprout! Photo: Spiced Pumpkin Seed Brittle!